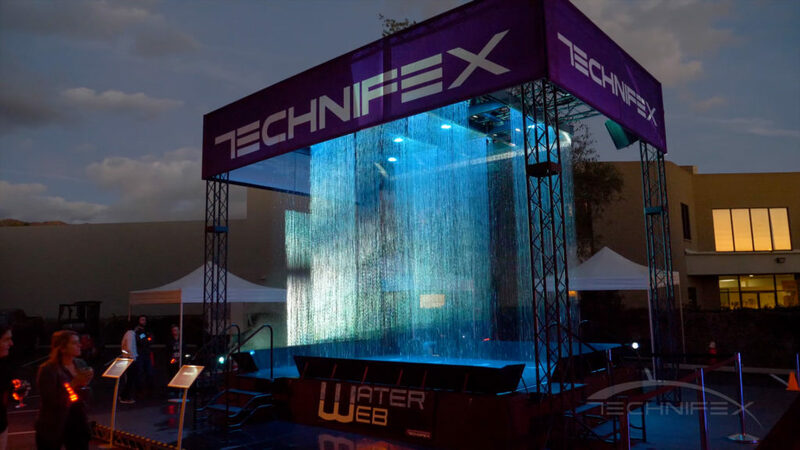 Made up of a grid of individually controllable rain manifolds, Technifex’s Water Web™ is capable of creating variable mazes for waterparks, entryways, exhibits and special event facilities. 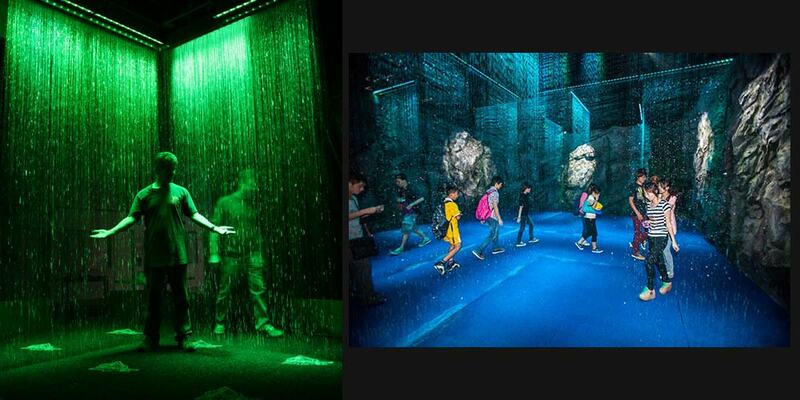 With a push of a button, or a programmed cue, a maze can instantly change configuration. 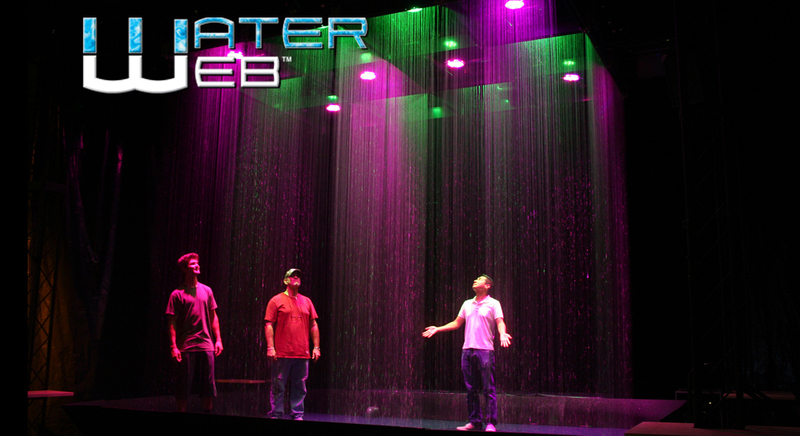 During the day, Water Web™ can act as an interactive play feature. 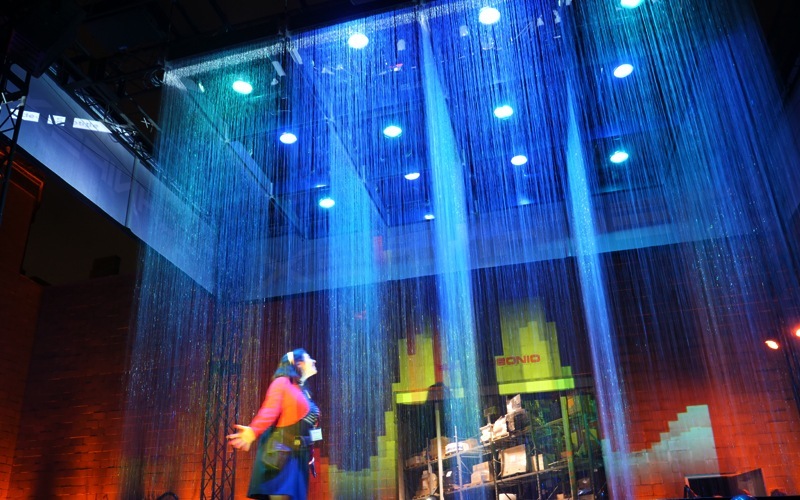 At night, or under controlled lighting conditions, Water Web™ becomes a dynamic show piece. 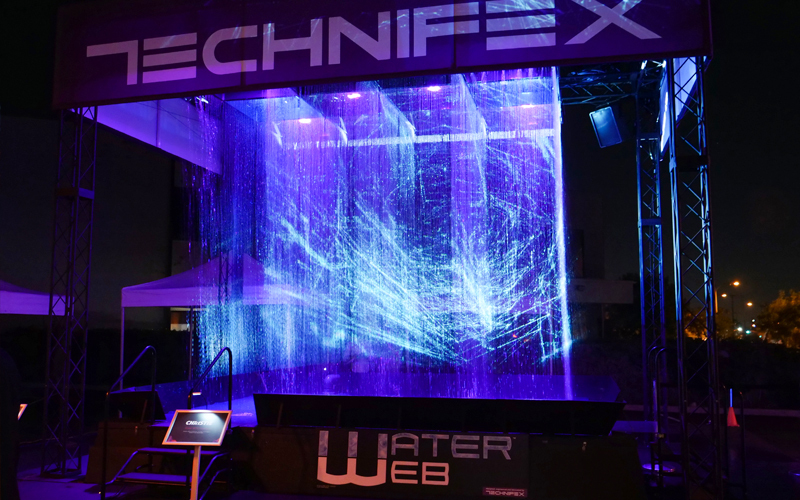 Utilizing color changing lighting and projected imagery, Water Web is a mesmerising night time attraction, backdrop for a concert, or unique and interactive special event in a nightclub. 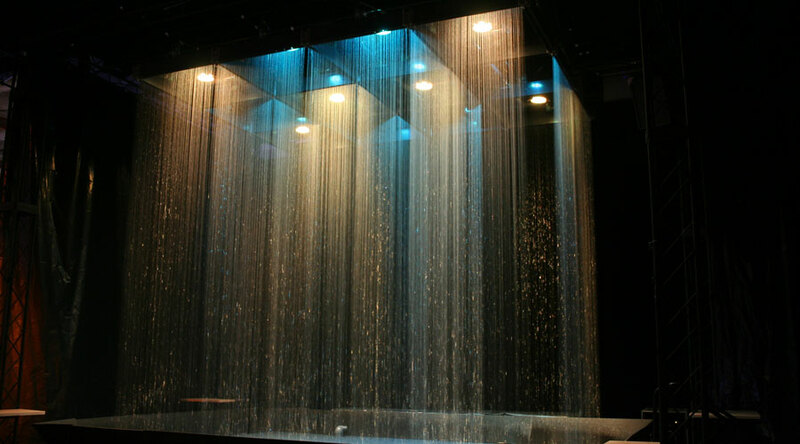 Permanent – Permanent installation into your facility. 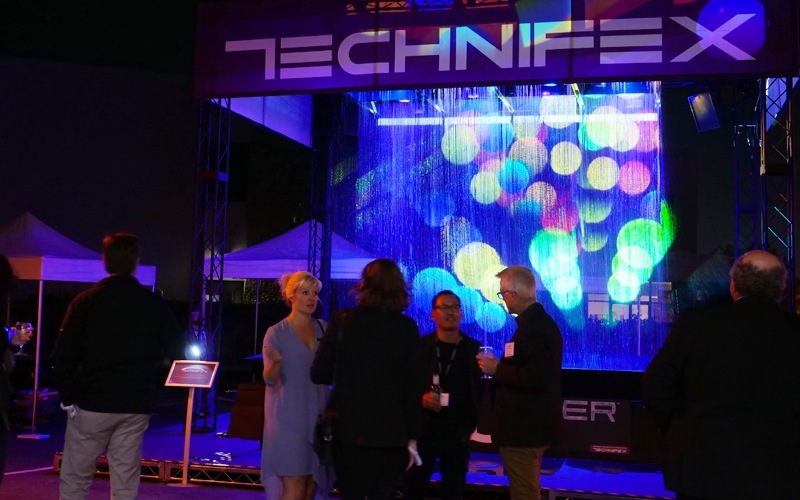 Temporary – Self contained and transportable system. 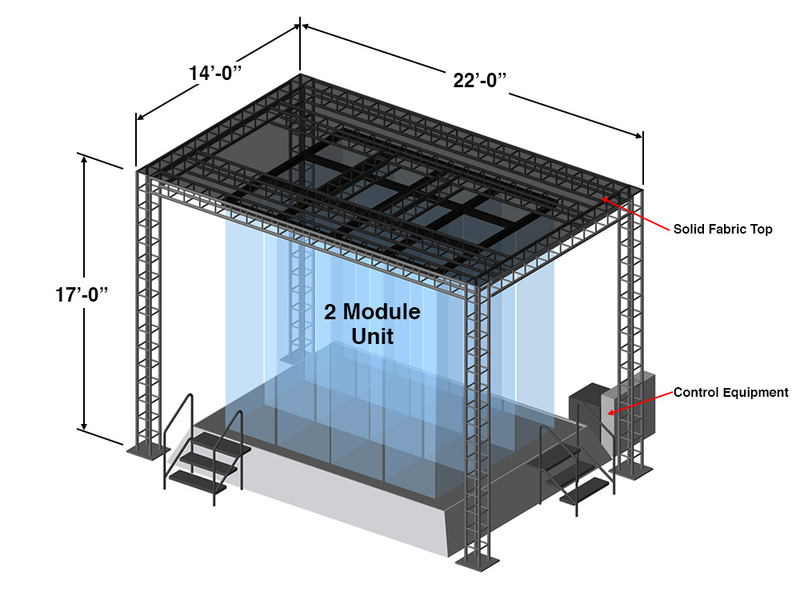 We also have a 2 Module system Available for Rent in the Continental USA only. 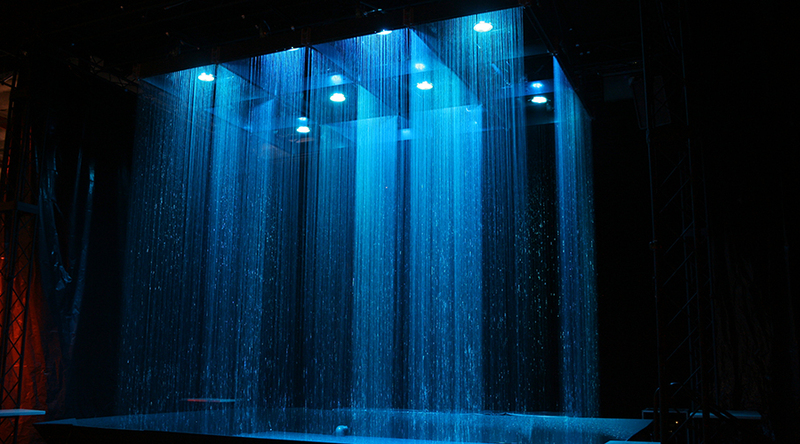 You may choose to construct the required pool at your facility. 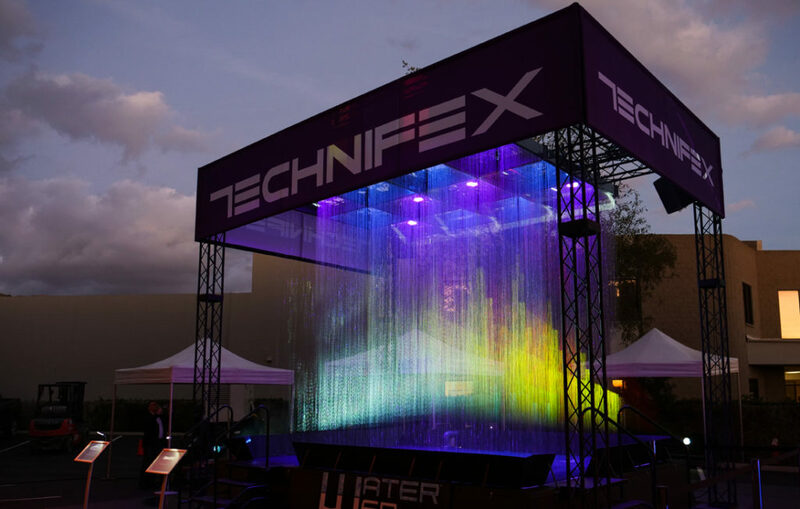 A mobile/temporary system will required a portable pool system supplied by Technifex. 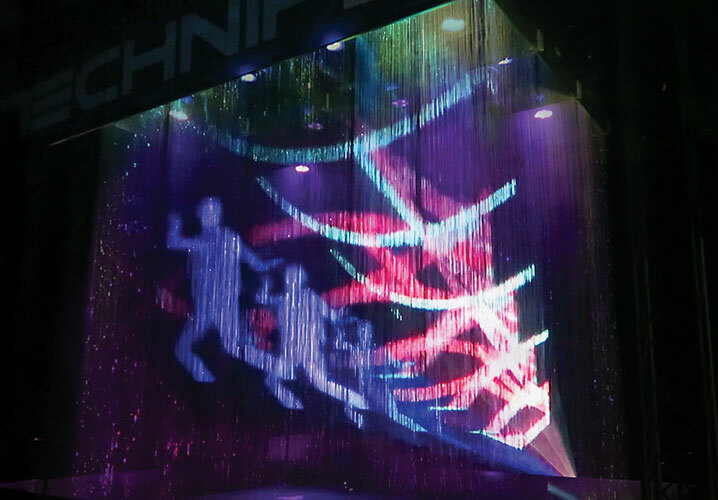 Projection System – Additional info will be required to determine specific pricing. 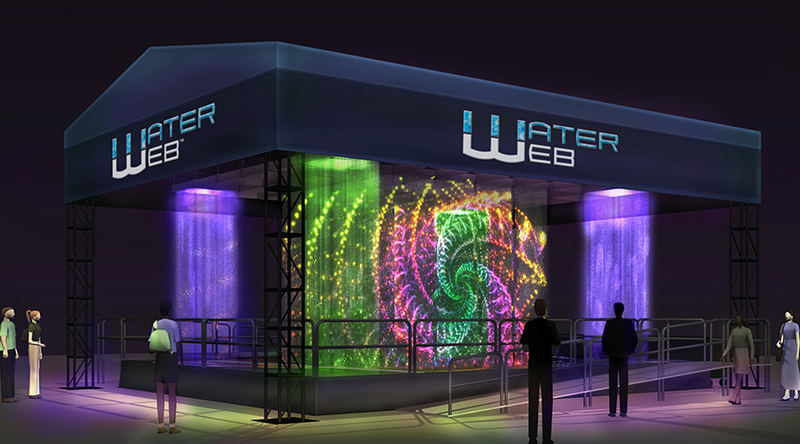 Please provide us a brief description of the location of the installation and the area around the proposed Water Web. 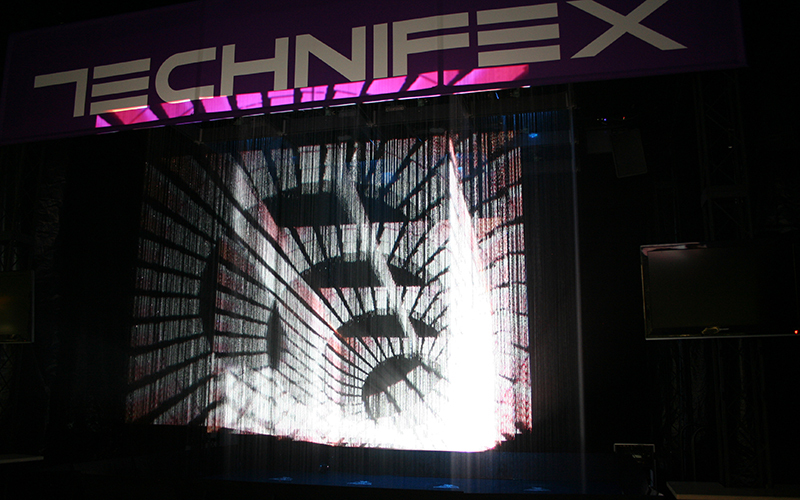 Technifex may need to contact you and request additional information such as a floor plan to determine if a video projector can be used based on your facility constraints. 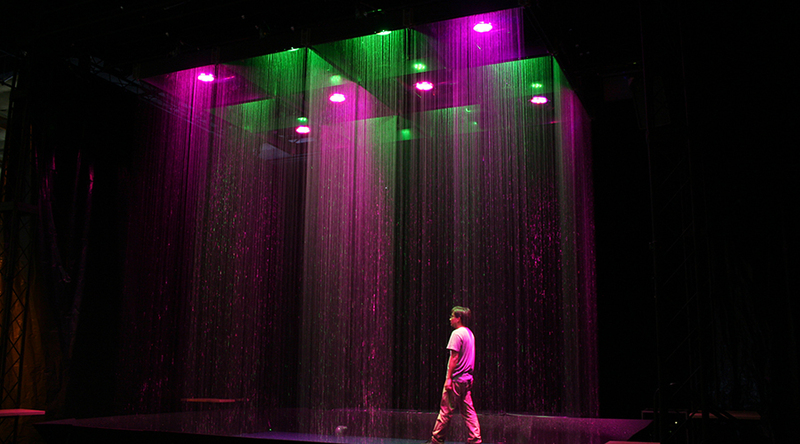 Permanent - Permanent installation into your facility. 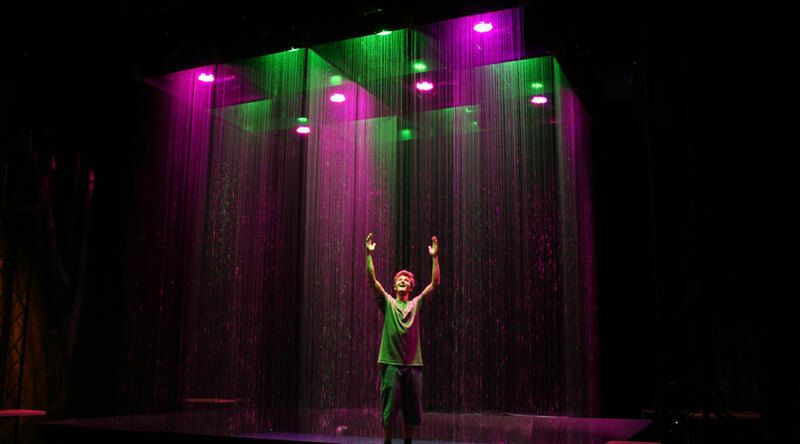 Temporary - Self contained and transportable system. 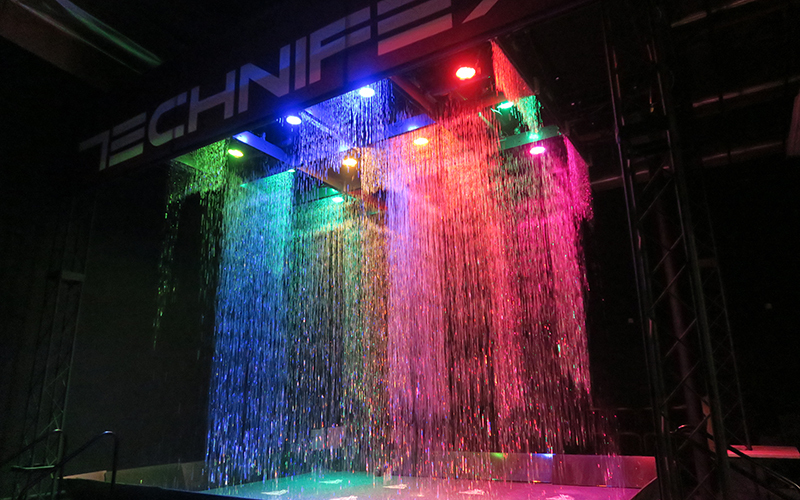 For permanent installation you may choose to construct the required pool into your facility, Technifex will provide the required specifications. Note: a mobile/temporary system will required a pool system. Additional info will be required to determine specific pricing. 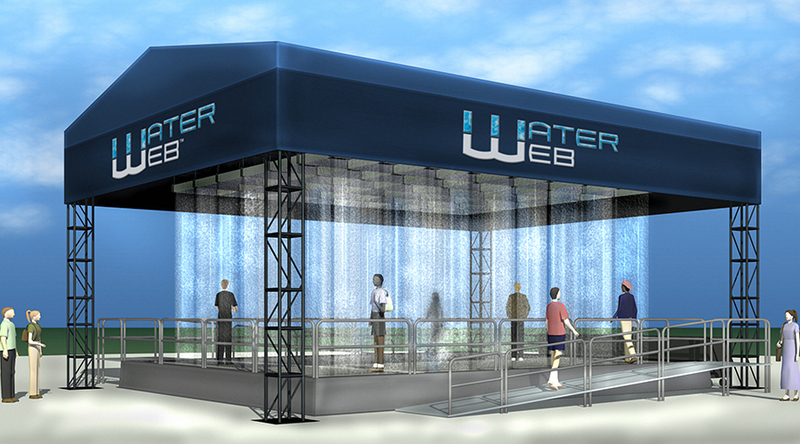 Please provide us a brief description of the location of the installation and the area around the proposed Water Web. 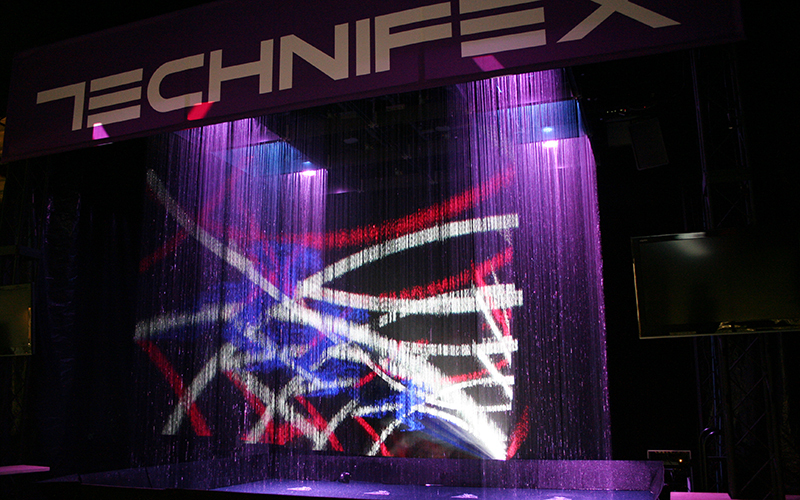 Technifex may need to contact you and request additional information such as a floor plan to determine if a video projector can be used based on your facility constraints. 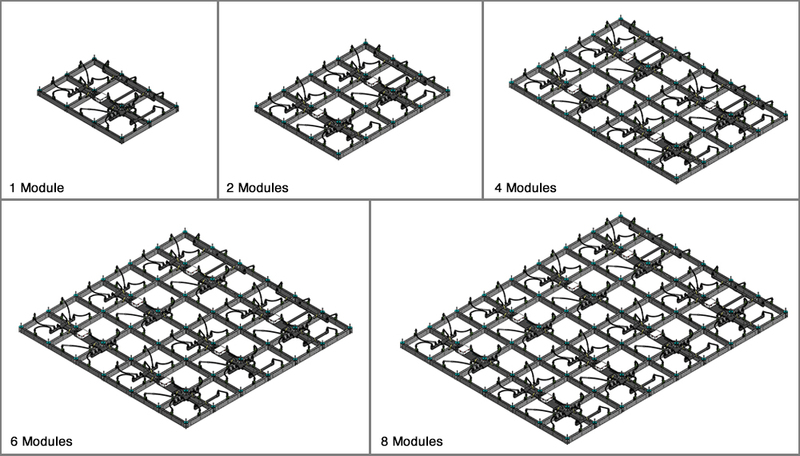 We have a 2 Module system Available for Rent in the Continental USA only. Contact Us for question regarding Cost and Facility Requirements.